Recently, one of my friends deeply hurt my feelings. Instead of talking with her about it I tried to ignore how I felt. It didn’t take me long to begin seething on the inside. I struggled to think kind thoughts. I began to rewrite the long wonderful history we’ve had as friends with a negative spin. Have you ever been there? I think we all have been offended or hurt by someone we care about at some point. It can be really hard to just let it go. In my situation, I love my friend, and I want to keep our relationship alive and healthy. I knew that if I didn’t deal with this well our friendship could fall apart. So I began to notice the ways I handled similar situations poorly in the past. Then I began to construct a new 10 step plan that I felt would achieve the desired end result…that is what I outline here for you in this post. Then I tested it in a few different situations. If you find yourself hurt by others and you can’t seem to “get over” the hurt of it then read this! I outline a step by step approach to initiating a difficult conversation with almost anyone. How Does Abuse and Emotional Neglect Make Someone An Avoider? We’ve talked a lot about what makes someone an avoider in previous articles on our website here and here. We also explain more about why it matters and in different contexts. But there are some other areas I want to dive deep into because they also play a huge role in your marriage. There are several things that can make someone grow up to become an Avoider. In this post we’re focusing on the aspects of your spouse’s past that make them an avoider. There are several things that contribute to that from their past that we’ll get to in a moment. I don’t want to ignore the things that are happening now in your relationship that might cause them to avoid, that’s the the topic of another article you can find here. You bet I’m thinking of your marriage too. But we’re constantly thinking about future marriages. While these tips will transform your marriage in many ways...if you take this advice...it will also release something in your children that will cause generations of transformed relationships. It transcends far beyond you or me or even things we can see. You change thousands of lives by your choice to make these little changes. I am tired of seeing my dear friends missing these incredibly important and crucial details. So I am writing this for you, the internet, as well as my dearest and most beloved friends who have to travel for a living to support their families or who are serving our great country in the military. I hope as you read this you hear my desperation for you. If you saw a burning building and you knew someone was inside suffering wouldn’t you run in to save them? Yes you would because that’s the type of person you are. I am that person too. This post is the water meant to quench the flames you can’t see, but you can feel. Every time you want to get close but you can’t. Enough with the small talk and butterfly kisses. Let’s get on with it. Here at Marriage Solutions we’re always on the lookout for fun local activities to do for fun date nights. Fun is crucial for a love to last. We need to laugh together and go on adventures both great and small. You know a life full of stress without stopping for fun can cause any great couple to end up in a marriage counselor’s office. So to inspire you, we have assembled 15 great date ideas for couples to do in Oklahoma City or for our couples in Tulsa to take a quick trip south. How Long Should I Try To Work On The Marriage If My Partner Is Unwilling To Try? Maybe you’ve been unhappy in your relationship for a while but your partner seems unwilling to do anything to improve the situation. It can be so hard to know what to do. You can feel so incredibly stuck. I can be even worse if you’ve experienced a significant hurt. Maybe they don’t know know how to be there for you emotionally or physically when you need them most. Maybe there’s been betrayal like an affair. Maybe you’ve considered looking outside the marriage for comfort. If you have then READ THIS. 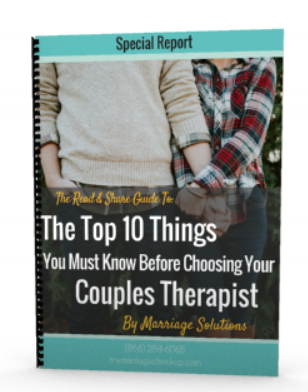 In our years of experience counseling couples we’ve identified several types of people, and situations couples find themselves in, when they have to decide if they should leave their spouse or not. Are you afraid to reveal the affair to your spouse or partner? A lot of people struggle to be completely forthright and honest about everything surrounding the transgressions. It can be incredibly scary because you don’t know how they will react. Will they leave? Will they hurt you somehow? Will you regret it? Are you better off never revealing what happened…or are you better off sharing all the details? In our marriage counseling and coaching practices we’ve helped thousands of individuals from all over the world come clean to their partner about the affair…in the best way possible. It’s not easy…but our methods work. Right now, if you’re reading this, you are looking for something, anything, to heal yourself…and maybe your marriage…from broken trust. For most of you the trust was violated because of infidelity. You’ve tried what feels like everything. Your inbox is likely flooded with tons of advice e-mails and sifting through that alone can feel like a stressful event all by itself. But this is all you need. Right here. You don’t need to look any further. We take everything helpful that’s ever been published or thought of and we’ve condensed it to make it manageable and easy to follow. Getting out as a couple is so important. No one understands that better than a marriage counselor. When Brad and I were pre-kids I found myself complaining about our default habit of dinner and a movie. But now that we have a toddler I am ecstatic about getting away to the typical dinner and a movie. We’re not really foodies so we find ourselves getting stuck in the same restaurant cycle. We know many of you get stuck like that too…so this list is for you and us too! You know what they say…a couple that explores together stays together…or at least having fun together scores big points in the romance realm. Museums can be a novel way to spend time indoors during less than ideal weather. When you see something interesting it gives you an excuse to sit really close to read the tiny placard. And if you have loud little people always around, many of the museums are incredibly quiet, which is a wonderful break from our crazy busy lives. There are a few things we’ve discovered in our marriage counseling practice that people wish they had growing up. If you are mindful of these six things we cover here, as you raise your kids to be future husbands and wives, you will discover your relationships will transform. Some things you’ll want to avoid and some you’ll want to start doing so you can achieve your ultimate parenting goals…to raise happy, healthy, successful children, who make good choices, lives up to their full potential, and who are equipped to be a great spouse one day. Some of these things you’ll know. Some you already do automatically…and some will take a extra effort on your part. After helping thousands of couples in our marriage counseling private practices this is what we’ve discovered makes couples the most successful. It goes far beyond communication techniques and temporary strategies for healing broken trust. What we share here gets to the root of real intimacy. DISCLAIMER: There is so much parent shaming out there these days….we are parents ourselves and frankly we’re sick of it all. This is NOT that. This article is all about encouraging you and building you up so you can feel great about your skills and what you’ve already accomplished! So let’s explore how you can make sure your kids grow into great spouses one day….if they so choose. I had a couple recently, who asked this same question. In typical therapy fashion, I like to give my opinion, however, I always like to defer to the spouse first because they usually have the best answer. Now, this is somebody who has been betrayed, hurt deeply, and she said "you know, when I get hurt and I've got these ptsd symptoms that I'm working through, there are somethings I need you to do. We each play a role in our relationship, right? I mean it wouldn't be a relationship if there weren't two people. So we each have habitual responses that we've learned over the years and some are good and some are bad. Most of the time the methods we learned to use in order to cope as a kid are what we still use as adults. If we didn't learn a healthy way to communicate and rely on others as a young person we may be struggling in our present relationships as well. Simply put, do new, exciting, and different activities together. Exciting experiences enhance feelings of attraction. When you do something with your spouse that gives you a feeling of danger, it stimulates adrenaline. Adrenaline as psychologist have pointed out, makes us feel closer and more romantic with our spouse. Doing new, exciting, and different activities elevates the level of dopamine in the brain. Dopamine is the chemical associated with romantic love. Research has pointed out that couples who do exciting, adrenaline pumping activities as compared to less stimulating, more normal, average activities together have increased feelings of happiness and more intense feelings of romantic love. This can work even if you are the only one trying to work on the relationship. You should invite them to join you in something risky and exciting. Maybe travel over night or out of the country, go bungee jumping, river rafting, or trying a new restaurant, doing something at the last minute to a sports game or to the theater, or swimming after the sun goes down. It is important to understand that anything rousing and unusual has the potential to trigger romantic love. instead of the normal movie and dinner, put a sheet up in the backyard and watch a movie in the moonlight. There are literally hundreds of ideas if you use your imagination! It just needs to be exciting, new, and different to recapture the feelings of romantic love. It is always important to seek counseling to help with this process. Struggling with Anger? Check Out this Great Read! This is such a great book that has changed so many lives and really helps those of us who struggle with anger. Do yourself a favor and check it out. You won't be sorry! Get "The Anger Management Sourcebook" by Glenn Schiraldi today! If you read it and like it send us a message letting us know how you were helped. In this post we talked about how research has shown that couples therapy is becoming more and more effective in helping individual issues. The reason is because everyone needs a support system and everyone needs to feel connected to others, especially to our significant other, emotionally. This need for connection to others is known as the Attachment Theory in psychology. We also talked about if an individual has experienced trauma, if they have a significant other walk with them through their healing process, then they are more likely to heal and heal quicker than if they had to go at it alone. How does a secure relationship help us heal and deal with trauma? Well, to simplify it, a traumatic experience turns our world upside down and a good relationship with our significant other can turn our world around by soothing us, offering safety, promoting confidence and trust, and helping us to feel comfortable in taking risks and learning new coping mechanisms to name a few. On the other hand if your relationship is not good then that in-and-of-itself is a traumatic experience. If you have experienced war, past sexual abuse, a life altering accident, or any other sort of trauma, a poor connection with your spouse can actually worsen the trauma from the past. Brad uses the Attachment Theory as a foundation when working with couples. He works with couples to feel and become closer to each other by helping individuals feel comfortable being honest and forthright talking about issues. He also helps each spouse rise to the occasion and teaches them how to become that caring support system their spouse so desperately needs. Attachment is an innate motivating force. We all desire to be close. It is imbedded in our genetic make up. It isn’t simply an infantile need but is what we all need in order to survive. Secure dependence complements autonomy. “There is no such thing as complete independence from others or overdependence (Bretherton & Munholland, 1999). There is only effective or ineffective dependance.” Surprisingly, the more securely dependent we are the more autonomous and separate we can confidently be. Attachment offers a safe haven. Even back in the stone age people lived together, worked together, fought together and without one another there surely would be no procreation and death of a population was insured. As a survival mechanism, people need to be securely bonded to one another for safety. If this is not possible stress and uncertainty is the outcome. Attachment offers a secure base. It is a spring board for people and a foundation they can refer to. When you know you have a secure place to return to you feel more confident and encouraged to explore the world and take necessary risk, to learn, and continually reinvent yourself. Fear and uncertainty activate attachment needs. When an individual is threatened (by traumatic events, the negative aspects of everyday life such as illness, or an assault on the security of the attachment bond itself) emotions arise and the need for comfort and connection become very obvious. People begin to ask “Where am I in proximity to my spouse?” or “Where do we stand?” or “What does my partner think of me?” or “Do they love me?” or “Can I depend on you when I need you?”. The promise of separation distress is predictable. When someone reaches out to the spouse for connection but the spouse fails to comfort them and respond to their efforts then the normal response is angry protest, clingy behavior, depression, and despair. Ultimately, this leads to detachment. Depression is a very natural response to a lack of connection in your relationships. A finite number of insecure forms of engagement can be identified. There are only so many ways a person can respond to negative answers to the plea for connection. Our responses fit into two different categories: anxiety and avoidance. When the attachment or connection between an irreplaceable other like your spouse, a parent, or a child anxious behavior may increase. You may become more clingy, pursue harder, and even become quite aggressive. Or you may become more detached or avoid the situation or conversations out of fear. These are strategies people use to protect themselves from further pain. Attachment involves working models of the self and the other. This is how you view yourself and how you view others. If you view yourself as lovable and worthy of care and as confident and competent this is a secure attachment and can determine your responses to situations. Securely attached relationships can help us grow and become a person who views ourself that way because we look to others to validate our opinions naturally. Securely attached people, who believe others will be responsive when needed, tend to have working models of others as dependable and worthy of trust. These outlooks are formed by thousands of interactions and become expectations and biases carried forward into new relationships. The way we relate to ourselves and our significant other is infused with emotion. Isolation and loss are inherently traumatizing. When someone has experienced trauma in their past and the isolation that follows, their personality formation and their ability to deal with other stresses in life is greatly altered. Each year we set new years resolutions and we hear from every self help author about how to achieve those goals. If you are one to enjoy self improvement books and audio tapes then check these out. We recommend listening to Brian Tracy and the late Zig Zigler if you are interested in getting motivated and encouraged. Zig gives more general advice and Brian Tracy makes more application of the same wisdom. Two other great self improvement author/speakers are Earl Nightingale and Napoleon Hill. You may recognize Napoleon Hill by his book Think and Grow Rich. So if you have an aspiration to read more check Napoleon out. It is well worth your time. If you are “not a reader” check out the books-on-cd option. We spend so much time in our cars going to work and other activities. Turn your vehicle into a university on wheels and see how much you learn! The Cause of Most Fights in Marriage - and it's Not Money!